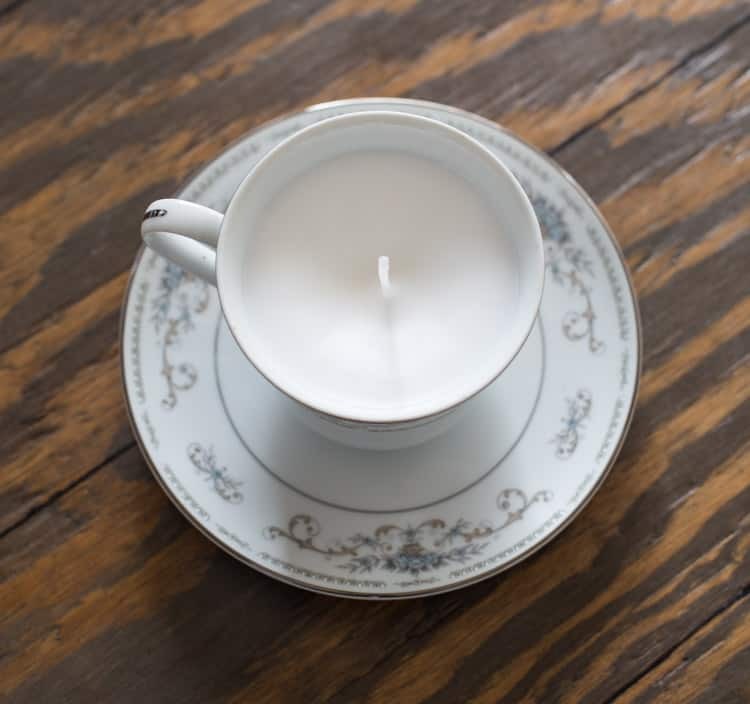 I’ve got Mother’s Day on the brain and thought it would be a fun gift to make a Thrift Store Teacup Candle. I check out our local thrift store almost every week and I always see pretty teacups. My mom is a tea drinker so I thought this would make a sweet gift for her. 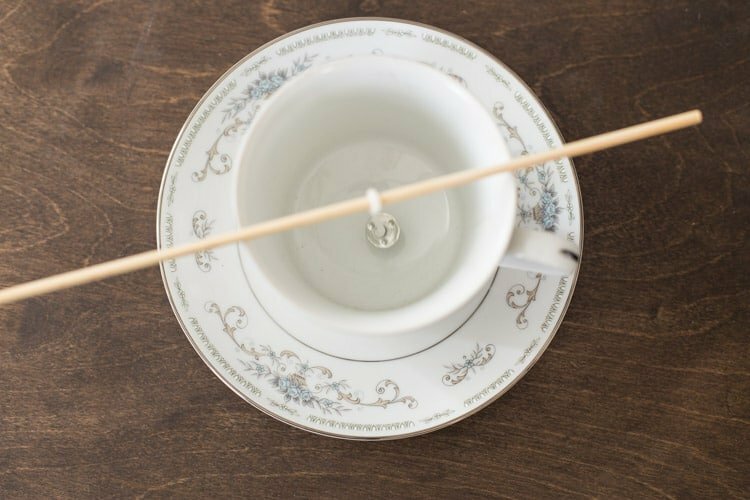 Step 1: Prep your wick. I used a wooden skewer and attached my wick so that it would easily stay in place as the candle wax hardened. Step 2: Melt the wax. I used an old pie tin that was bendable. That way one the wax melted I could bend the tin to easily pour the melted wax into the teacup. Follow the directions on the wax for the temps you need to have for melting. Step 3: Pour in the melted wax. Once my wax hit the magic number I poured it into the teacup. 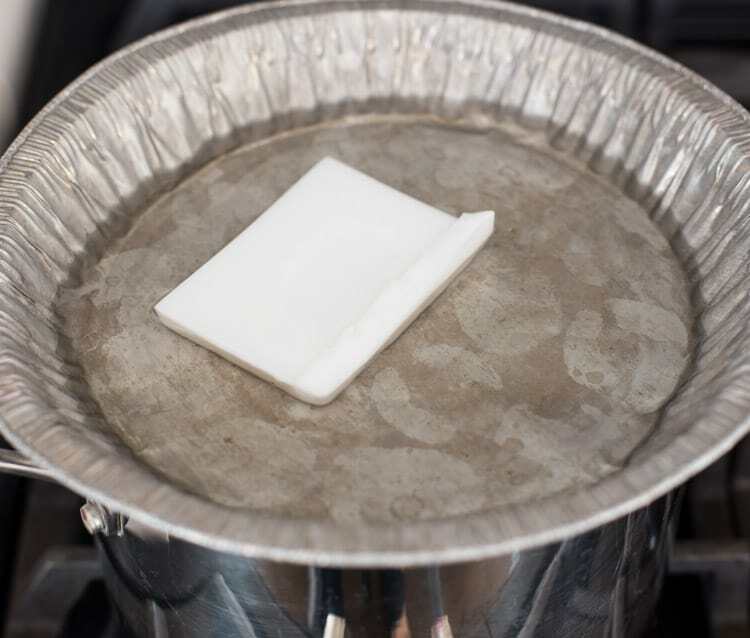 See what your directions say, but most have you letting it cool for a bit, then you poke holes to release air and then add some more wax (so you get a flat top surface). Step 4: Let it cool. 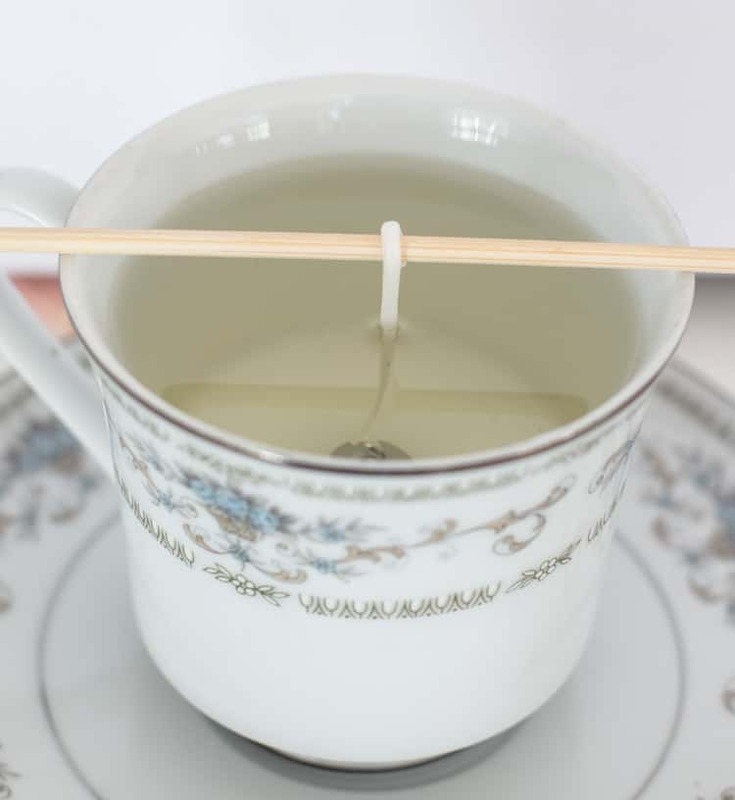 Once it’s cooled you’re ready to enjoy or gift your beautiful teacup candle. Wouldn’t that make a great Mother’s Day gift? 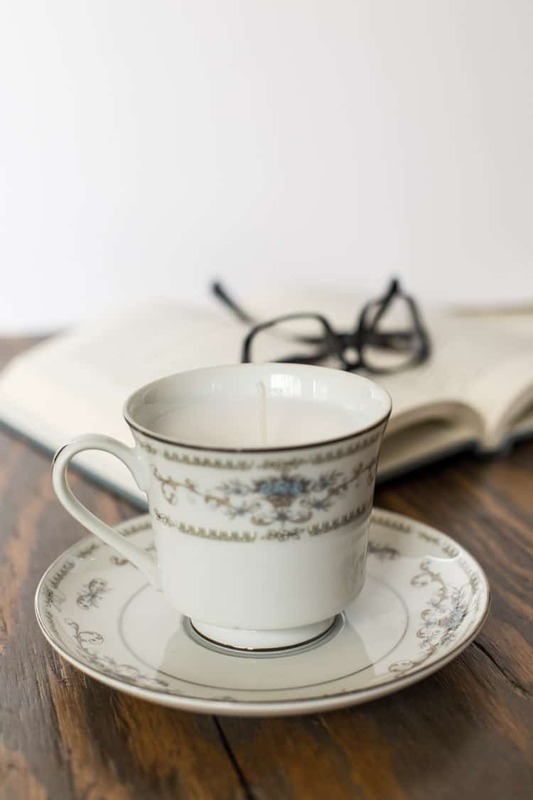 What a lovely way to re-purpose this beautiful tea cup set. Pinning for later as I’m always visiting thrift stores. Thanks! The teacup is so beautiful. Love it. This is seriously adorable! I’ve got several mismatched cups and saucers to try this with! This is so pretty, what a great reuse for a tea cup!